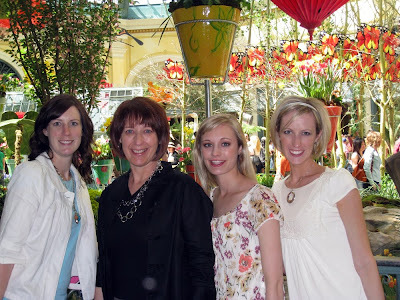 At the beginning of April, I went with my mom, sisters, sister-in-law and niece to Las Vegas. 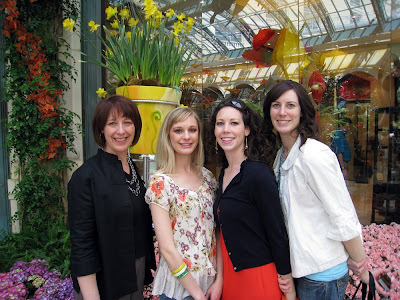 It was a very fun getaway (Larry stayed at home with Ava) full of fabulous shopping, great food, and wonderful company. Here are a few pictures of our trip. Sadly, my camera battery died after the second day and I wasn't able to get any pictures of Liz and Sophie. 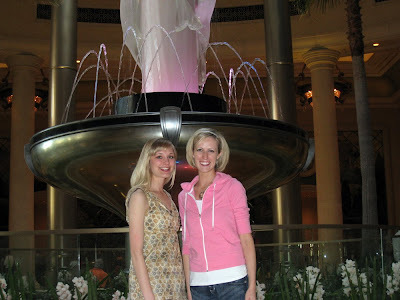 Here we are after checking in at the Palazzo. On the way to the Fashion Show Mall. 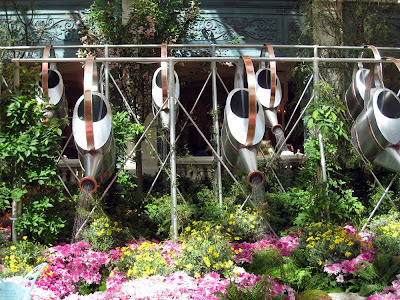 The next day at the beautiful Bellagio conservatory. We loved these watering cans. In fact, my mom wants to put some in her backyard for all the grandchilren. This is the last picture that my camera was able to take before the camera battery died (note to self: don't believe Larry when he claims that the battery does not need to be charged). Krista...you and your family have such good vacations and trips...I'm a bit jealous!!! 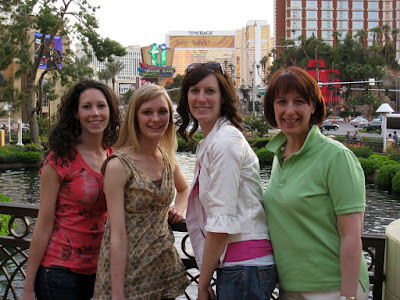 Looks like you guys had FUN...and being with Mom & Sisters is always great!!! That's nice of Larry to stay home too...gotta love great hubbies! !